Interested in getting behind the wheel of a CLA Coupe for a smart price? A Mercedes-Benz lease is a smart way to get premium luxury for Beckley drives without making a long-term commitment to a vehicle. Once you’ve researched whether buying vs. leasing is right for you and browsed our CLA coupe inventory, explore our Mercedes-Benz CLA lease offers at Mercedes-Benz of Charleston near Huntington below. Why Lease a Mercedes-Benz CLA in Charleston, WV? Still doing your research? 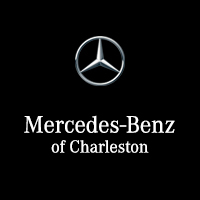 Learn more by comparing the Mercedes-Benz CLA to the CLS or BMW 2 Series, then contact Mercedes-Benz of Charleston to schedule a test drive today!